Tina set up the Ireland Division of Staffline in 2013. Despite only starting out with two members of staff Tina made a bold and ambitious target to expand her operation and hit a target of £100m turnover within 5 years. Under Tina’s strategic and ambitious vision, Staffline entered a period of significant organic and acquired growth. 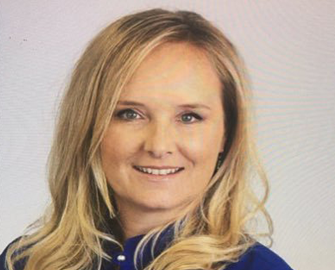 In July 2018 Tina secured the largest acquisition of a recruitment business in Ireland, with Grafton Recruitment joining Staffline’s Group portfolio which already includes PeoplePlus and Diamond Recruitment. The company now has an estimated turnover of £180m, employing 250 permanent staff and a contracted workforce of up to 10,000 people across Ireland. As Honorary Consul to Finland Tina works to strengthen the ties between Finland and Ireland. In doing so she looks to identify synergies between the respective countries, particularly in relation to education and the economy. Tina served as the NI Director of the Recruitment and Employment Confederation (2013-2016) and as the European Ambassador for Women’s Entrepreneurship Day (2016). She has received a number of awards including The Director of the Year for mid-Market companies from the IOD in 2017 and the Outstanding Leadership and Management award from Women in Business in the same year. In November 2018 Tina was awarded the prestigious Business Eye Business Personality of the Year Award. 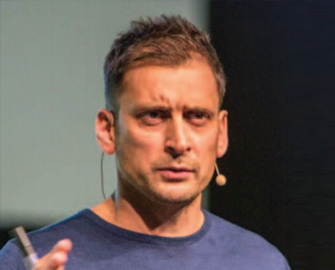 Jamil Qureshi is one of today's foremost practitioners of performance enhancing psychology. He has enjoyed working with a rich diversity of the most talented business and sports people in the world. He has helped six sports people get to number one in the world. In 2006, he was appointed as the first-ever official golf psychologist to the European Ryder Cup team. Jamil has worked with 22 golfers inside the top 50 in the world including two world number ones. He has worked successfully with three English Premiership football clubs, and the 2009 Ashes winning cricketers in business and industry. Jamil has worked with companies in over 21 different countries last year alone, helping teams to fulfill their potential. He has developed and delivered change and leadership programmes at board level for Hewlett Packard, Emirates Airlines, Coca Cola, and Unilever. Jamil also lectures on the prestigious WorldProgram, in the US, UK and China. He is a world recognised speaker on all aspects of the psychology of performance. Interestingly, he is one of only a few external psychologists ever to be allowed to study astronauts on the NASA Space Programme. Dermot joined Dalata in 2012 where he has overall responsibility for finance & development. He has extensive experience in the financing, development, acquisition and disposal of hotels. He led the acquisition of the Moran Bewley Hotel Group which completed in February 2015. He also played a leading part in the IPO of the Company in 2014. 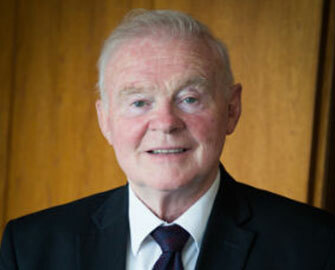 He is a fellow of the Institute of Chartered Accountants in Ireland, having qualified in 1991. Dermot worked in Ireland and overseas with PricewaterhouseCoopers, Procter & Gamble, Forte Hotels and Renault Ireland before joining Jurys Doyle Hotel Group plc as Head of Development in 2000. During his six-year period at Jurys Doyle, he oversaw the development of 15 new Jurys Inns and Hotels in Ireland, the UK, and the US. He also oversaw the disposal of eight hotels in Ireland for a combined total of €450 million. From 2006 to 2012 Dermot worked at Ion Equity on a number of the transaction as well as establishing Pillo Hotels. Corporate partnerships are vitally important to charities and CMRF Crumlin has been overwhelmed by the amazing support of Dalata Hotel Group over the last 4 years. Since 2015 this partnership has gone from strength to strength and to date has raised over €750K through staff led fundraising and an annual corporate donation. 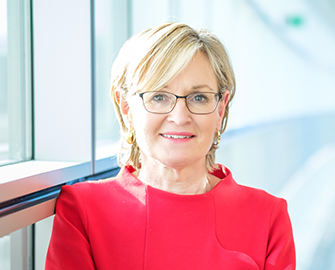 At the heart of this partnership is Dalata’s belief that investment in pediatric research will change the landscape of childhood illness not only in Ireland but around the world. Investment in childhood illness is vital as children cannot be treated in the same way as adults as their immune systems are not fully developed and will not respond to treatments the same way adults do. The opportunity to work with a company who wants to highlight the importance of children’s health and engage the public as part of their partnership is inspiring. Staff engagement is key to driving momentum around this partnership. Staff have put so much time and effort into organising and taking part in varied and imaginative fundraising events, they have become fantastic ambassadors for CMRF Crumlin and every day they are giving every sick child every chance to survive. Most entertainers strive to be an expert in one given discipline. Keith has dedicated his life to be an expert in all of the mystery arts and is the only talent Worldwide to be a complete expert in magic, mentalism, hypnosis, escapology, brain hacking and deception. And, no one can figure out how he does what he does. Keith's TV appearances go viral. He’s the mentalist/ hypnotist expert/brains behind the wildly successful NOW YOU SEE ME movies franchise. HIS TED TALK HAS BEEN IN THE TOP 25 TED TALKS OF ALL TIME SINCE 2008. He has the rare and wildly entertaining ability to hypnotize anyone...anywhere...anytime. Keith is one of the world’s most diverse and in demand Corporate Keynote Speakers and Corporate Entertainers. He has featured as a Keynote Speaker/Performer at the CBS, Upfronts, Cannes Lions Festival of Creativity,TUMI International Conference in Hong Kong, HRTechWorld Congress in Paris and The Million Dollar Round Table Annual Meeting in Phoenix. He was awarded both the prestigious Merlin Award for "Mentalist of the Year" and “Best Magician in Las Vegas” as voted for by the Las Vegas Review Journal. Keith’s recent hit TV show “You’re Back in the Room” aired on Channel 9 in Australia in 2016 to huge ratings as did the 2 seasons of the UK version of the show for ITV1. The US version, renamed “Hypnotize Me” also stars Keith and is due to air on Fox TV in the USA, hosted by Taye Diggs. This show is the first hypnosis gameshow format ever and is built around Keith’s particular skillset. 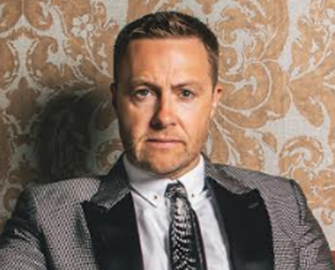 Keith has starred in over 40 INTERNATIONAL TV SHOWS and has appeared many times on “The Ellen DeGeneres Show”, “The Jimmy Kimmel” show and The Conan O’Brien Show .He was the star of the CBS Special “Extraordinary”, Discovery Channel’s worldwide hit series “Deception with Keith Barry” and MTV’s “Brainwashed". Keith’s brand new international TV series “HYPNOPRANKS” has already secured production partners in Australia, the UK, Ireland and the US. Over 14 years Keith has performed his live shows to over 1 Million people in the USA, Canada, Australia, New Zealand, Ireland, Spain, France, Croatia, South Africa, Hong Kong, Russia, UAE and the UK. Mairead McGuinness was first elected to the European Parliament in 2004. Now in her 3rd term, Mairead represents the Midlands and North-West region of Ireland. Her work in the European Parliament has been acknowledged by her European counterparts by her election as Vice-President. Appointed the role of Children’s Rights Mediator, she plays a leading role in the area of children’s rights as the Parliament’s mediator in cases of international parental child abduction. Mairead is a full member of the Agriculture & Rural Development/AGRI, and a substitute on Environment, Public Health & Food Safety/ENVI. Mairead is a native of Ardee, Co. Louth, from a strong Fine Gael family. Married to Tom Duff, they have four children. They live near Drumconrath, Co. Meath. 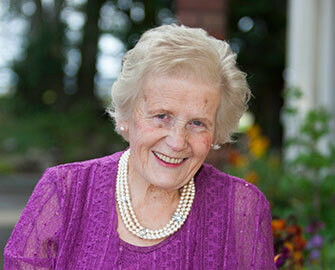 Mairead was educated locally at the Convent of Mercy National School and Ardee Community School. She studied Agricultural Economics at UCD, the first woman to qualify in the discipline. She is remembered for her very lively contributions to the Agricultural Society, especially in her capacity as imaginative and creative recording secretary. 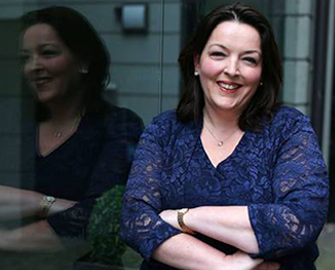 She began her career in journalism in RTÉ immediately after college. She worked initially as radio producer and later in research on the Late Late Show. In recent times Mairead became well known as a presenter and key driving force behind the highly successful Ear to the Ground series. In print journalism she was the highly respected editor of the Farming Independent for seven years. Leading a strong team, she positioned this paper as the major independent voice in the agricultural sector. Mairead served two terms as Chairperson of the Guild of Agricultural Journalists and successfully developed the guild as an important network for those in food and farming communications. Mairead also chaired the Consumer Liaison panel set up by the Minister for Agriculture and Food. This panel spearheaded important changes in food labelling and traceability, initiatives which Mairead has continued to champion as a Member of the European Parliament’s Agriculture and Rural Development Committee. She was voted by her colleagues as MEP of the Year for Agriculture in 2011. In 2014 she was awarded the UCD Foundation Day Alumni Award in Agriculture and Food Science. Eleanor is a successful Entrepreneur, finalist in the 2013 EY Entrepreneur Of The Year and UTV Business Eye Business Personality of the Year. Eleanor founded Budget Energy in 2010 and becaome a serious player in the Northern Ireland electricity market with a fast growing customer base, currently over 60,000 residential customers, and offering consumers a choice compared to the previous monopoly. 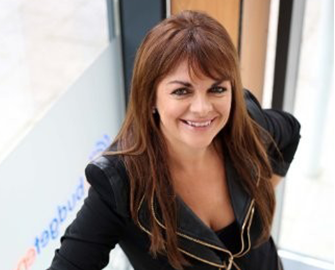 Prior to setting up Budget Energy, Eleanor McEvoy successfully built and sold two previous businesses namely Pembroke Distributors, a food distribution and vending company which sold in 2001 and Phonecard Warehouse, a successful reseller of mobile phone top ups which was sold in 2006. Jim Breen is the Founder and Chairman of PulseLearning (www.PulseLearning.com), co-founder of newly launched IAmHere (Corporate Mental Wellness Programme) and Chairman of Becloudsmart ( www.Becloudsmart.com ). Jim is also a Director at Cork BIC (www.Corkbic.com) and an Advisor to The Wheel (www.Wheel.ie). Jim's career to date has been one of growth and purpose. 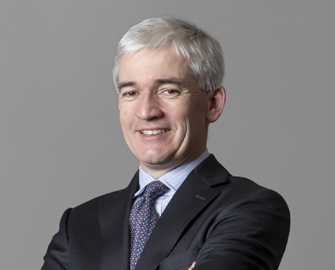 After graduating with a degree in Engineering from the National University of Ireland, Galway in 1991, he successfully held senior management positions with the KOSTAL Group and Kleinhuis. 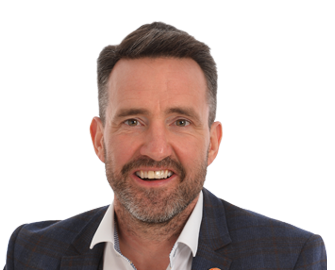 In 2007, he was shortlisted for the prestigious Ernst & Young Entrepreneur of the Year Award and his company, PulseLearning, won the Deloitte Fast 50 Award for the fastest growing IT company on the island of Ireland. He also founded the internationally acclaimed Entrepreneur Experience (CorkBic) fueled by his passion for nurturing and mentoring emerging entrepreneurs and innovators. A lover of sport, Jim is a former international rower and winner of the British and Irish Senior Intervarsity's boxing championship. Nowadays, Jim runs, rows, swims, cycles and has completed a number of major marathons and an ironman. Jim had the privilege of taking part in “The Secret Millionaire” television programme in 2012 (https://vimeo.com/61333005?ref=em-v-share). One of the projects that he visited was a Suicide Awareness group in Dublin which sparked his interest in mental health issues. As a result of this experience, he spearheaded the “Cycle Against Suicide” initiative (www.CycleAgainstSuicide.com). Carole Ann has 20 years’ experience in the business world having worked at Global giants such as Diageo and Coca-Cola. She has also extensive experience in the world of advertising and digital agencies working on some of the biggest brands in the world. Carole Ann is an Avid Sports person, having captained the Irish Women’s Rugby team for several years, an interprovincial hockey player and Senior footballer. Carole Ann completed an all-female expedition to the Arctic in 2018 for Debra Ireland and set up a new Touch Rugby Club. She coaches Rugby in her free time. 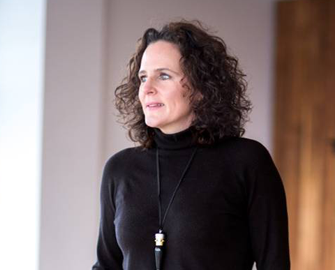 Carole Ann is passionate about people and personal growth and having studied Leadership and executive coaching along with Mental health and wellbeing coaching, Carole Ann merges her business acumen, sports and life experiences with the co-creation of IAmHere. IAmHere empowers employees with the courage, confidence and skills to signpost existing mental wellness services to those in need. IAmHere aims to embed the notion of "it's ok not to be ok" and "it's absolutely ok to ask for help" into organisations worldwide through their powerful peer to peer programme. As part of the IAmHere Programme, Carole Ann works with clients to aid their culture development and purpose led vision from Leadership coaching to change management,, Purpose & Philanthropy and resilience coaching. She also assists employees with lifelong physical and mental health issues to help them thrive successfully in the workplace or creating new careers. 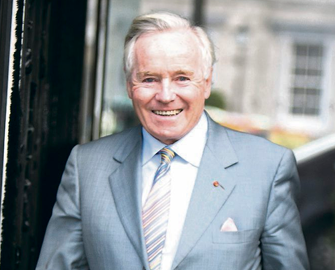 Feargal Quinn is founder of the Superquinn supermarket chain, which he sold in 2005 before it was taken over by the Musgrave Group in 2011. He has made a wide range of contributions to Irish life. Most prominently, he was Chairman of An Post for ten years and has served as Chairman of Dublin's St. Patricks Festival. He has been an independent member of the Seanad for 23 years (1993-2016). 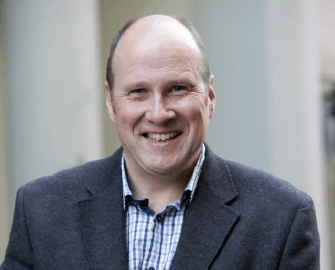 He is Adjunct Professor at the National University of Galway and chaired the Government's "Springboard" initiative which provides jobseekers with the opportunity to upskill or retrain. He is also chairman of the Independent Alliance political grouping. 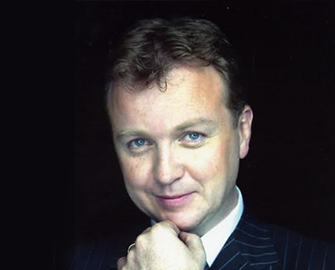 Feargal is the author of the best-selling books "Crowning the Customer" and "Mind Your Own Business" and to date he has completed three successful series of Feargal Quinn’s Retail Therapy for RTĒ television. He has received a Fellowship and five Honorary Doctorates, the French Ordre National du Mērite and a Papal Knighthood. 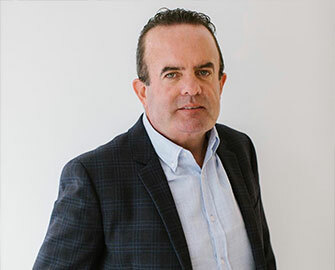 Internationally, Feargal has served on the board of the American-based Food Marketing Institute as well as being Chairman of CEIS, the Paris-based organisation representing retail. He is also a past President of Euro Commerce, the Brussels-based retail organisation. John Teeling is closely associated with the renaissance in Irish whiskey. He established the first new distillery in 100 years in Cooley in 1987 and subsequently re-opened Lockes. The group was sold to Jim Beam in 2011. He then set up the Great Northern Distillery, on the former Harp Brewery site, which operates both single malt and grain distilleries on one site in Dundalk. It is now the second largest distilling company in Ireland. In a long business career in Ireland, John has been involved in a wide range of businesses from textiles to exploration. As an investor in Natural Resources since 1983, he has founded a number of Stock Exchange listed explorers. He currently chairs four, having sold three in recent years. He explores for diamonds, gold, oil and zinc in Africa, Ireland and the Middle East. John, who lectured in Business Administration at University College Dublin for 20 years, holds degrees from University College Dublin (B. Comm, M. Econ. Sc), Wharton Business School of the University of Pennsylvania (M.B.A.) and a doctorate from Harvard Business School. Anna May McHugh lives close to the village of Ballylynan, Co Laois and has lived in this area all her life. She was married to John McHugh (RIP), has one son, one daughter and 4 grandchildren. Anna May was educated in St Patrick’s National School, Ballylynan, St Brigids Secondary School in Athy, Co Kildare where she also completed a commercial course. Her journey through the ploughing started in 1952 when she took a job as secretary to the founder of the National Ploughing Association, she was appointed Secretary in 1956 when the NPA became a limited company and elected Managing Director in 1973. Anna May has been at the helm of the Ploughing Championships as it has evolved from a small ploughing match and agricultural trade exhibition to what is now widely recognised as the biggest agricultural event in Europe with 240,700 attendees last year, over 1,700 trade exhibitors and 350 ploughing competitors. Anna May is a Board Member of the World Ploughing Organisation, Chairperson of the Diocesan Finance Committee, and a Director and Chairman of KFM Radio, she served on the board of Teagasc for 5 years, Laois Enterprise Board for 15 years and she is actively involved in a number of community organisations such as the ICA, Kildare County Show etc. Laois Person of the Year, Millennium Laois Person of the Year, Rehab People of the Year Award – outstanding contribution to society 1998, Ernst & Young Entrepreneur of the Year 2011, Irish Tatler woman of the Year – Hall of Farm Category 2013, Irish Independent – Event Industry Award 2009, Lions Club – Melvin Jones Fellow 2013/14, FBD Women and Agriculture Awards – Lifetime Achievement Award, Veuve Cliquot Business woman of the Year Award, Irish Security Premier Award, Ireland’s Women Executives Award – WXN – Irish Times Trailblazers Award 2014 and Honorary Doctorate Degrees from several universities. Here’s how you’ll meet people who really matter on May 2nd. Networking’s vital – but tough. On May 2nd at the All-Ireland Business Summit, you are certain to meet the people you really need to meet. This is because we are unleashing Brella, the world’s leading networking software. With the Brella networking app, we have made meeting new connections easy for you. All delegates will have access to the Brella Mobile App, enabling you to find the right people to connect with and book meetings with them at the event. 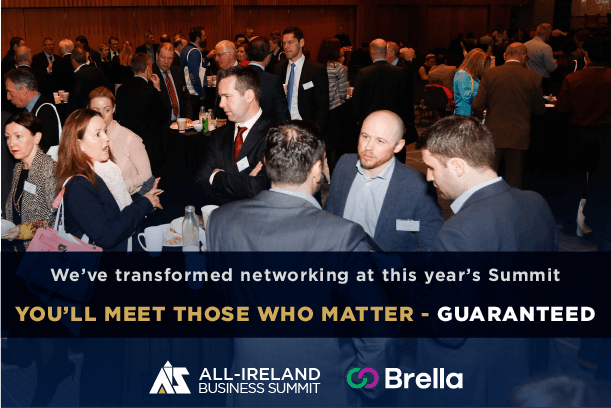 Find the right people...book meetings...build connections... all GUARANTEED at the All-Ireland Summit.